PSB: Will the PS Vita version keep the PS3 version’s smooth 60 fps framerate? EB: Yeah. We wouldn’t accept any compromises there; we needed the game to run at the same framerate as the PS3 version. A number of our internal people proposed running it at 30 frames per second — “we could do this and this and that” — but we knew it would feel different. We didn’t want it to feel sluggish or unresponsive. PSB: What makes a good mobile fighting game? Obviously, playing habits are different in a mobile environment. PSB: So how does a touchscreen come into play in Mortal Kombat? EB: In terms of gameplay, we’ve always wanted MK to be as accessible as possible. For example, you can touch your X-ray meter to execute an X-ray attack. For fatalities, you can “slash” the screen with the appropriate inputs — say, away, away, up — to execute the fatality. It makes some of the more difficult fatalities easier and it’s fun to slash at your screen to fire off a fatality. I was surprised by how engaging it is. PSB: Can you shed any light into how the accelerometer or sixaxis motion controls work in the new PS Vita-centric Challenge Tower? EB: I’ve been asked not to completely reveal all of the details yet…But in the new Challenge Tower, there are challenges that are unique to PS Vita’s capabilities. Over the years we’ve had Test Your Might, Test Your Luck, Test Your Sight…well, we’ve added two completely new ones for PS Vita. We’ll be revealing those soon, and they will take advantage of the accelerometer and other features. PSB: Will Mortal Kombat feature any PS3-to-PS Vita connectivity or cross play functionality? EB: No. We’ve been working with PS Vita for quite a while. We had a lot of conversations about what we could do with it; I thought it would be cool to have an extra bonus for players who bought both the PS3 and PS Vita versions. We talked about unlocking a new character, or having some sort of new mode that enabled you to control the game from your PS Vita…but unfortunately, it’s coming up on a year since the PS3 version came out and we never found a way to marry the two versions together. On February 17-19th, Mortal Kombat 9 (2011) will join several other fighting game franchises in one of the biggest Fighting Games tournament in the world, the World Game Cup 2012 that will take place in Palais des Festivals de Cannes in France. Hurry up and register before the fees are increased. 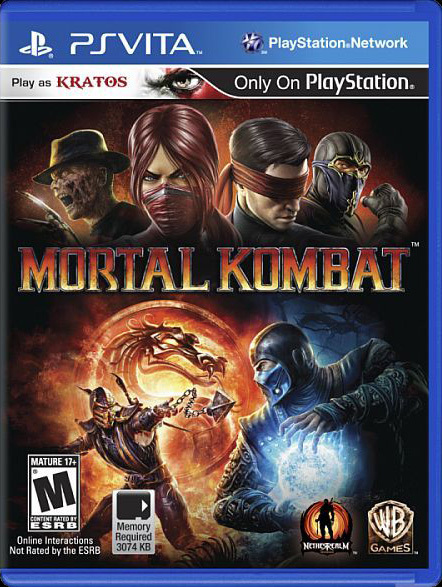 Burbank, Calif. – January 17, 2012 – Warner Bros. Interactive Entertainment announces Mortal Kombat will ship for PlayStation®Vita system in Spring 2012. Developed by NetherRealm Studios, the game delivers an experience designed specifically for on-the-go gaming with brand new gameplay features and content developed exclusively for the new handheld device. Selling more than three million units worldwide in 2011, Mortal Kombat became the highest-selling fighting game of the year and has won numerous “Best Fighting Game of 2011” awards including Spike TV’s 2011 Video Game Awards, Official Xbox Magazine and GameTrailers.com. In a triumphant return to the game’s original mature presentation, Mortal Kombat offers over-the-top fatalities and cringe-worthy X-ray moves. This latest iteration in the franchise brings the game back to a 2D fighting plane and introduces a number of new gameplay features including Tag Team, Challenge Tower and a deep story mode. Several new features have been developed exclusively for Mortal Kombat for PS Vita system, which will be revealed in the coming months. Play Mortal Kombat for PS Vita system by visiting the Vita Hill Social Clubs. 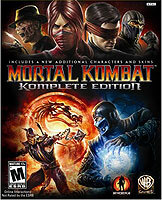 Burbank, Calif. – January 9, 2012 – Warner Bros. Interactive Entertainment today announced the Mortal Kombat Komplete Edition, a content-rich version of 2011’s award-winning Mortal Kombat videogame. The 2011 iteration of the legendary fighting franchise sold more than three million units worldwide and was recently named Fighting Game of the Year by Spike TV’s 2011 Video Game Awards. 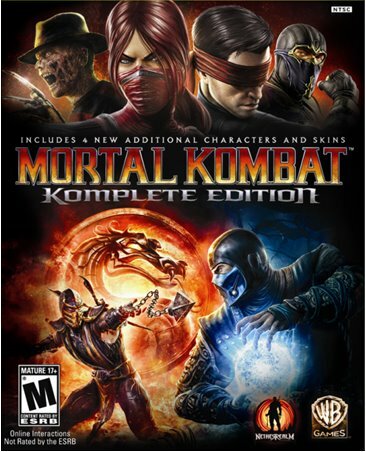 Mortal Kombat Komplete Edition delivers the critically acclaimed game, all previously released downloadable content (DLC), plus digital downloads of the 2011 release of Mortal Kombat: Songs Inspired by the Warriors album with a bonus track, and the 1995 Mortal Kombat film on the PlayStation®Store or Xbox Live Zune. The DLC includes fan-favorite warriors Skarlet, Kenshi and Rain, as well as the infamous dream stalker Freddy Krueger. The game also offers 15 Klassic Skins and three Klassic Fatalities (Scorpion, Sub-Zero and Reptile). Mortal Kombat: Songs Inspired by the Warriors is a collection of electronic music inspired by the game and is executive produced by JFK (of the DJ/ production duo MSTRKRFT and Death From Above 1979). 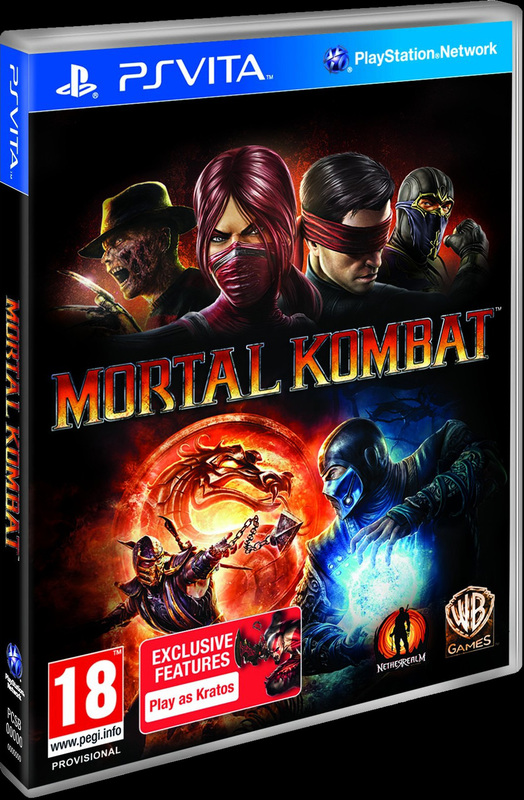 Developed by NetherRealm Studios and led by Mortal Kombat co-creator and creative director Ed Boon, the game will be available February 28 on PlayStation®3 computer entertainment system and Xbox 360® video game and entertainment system from Microsoft. 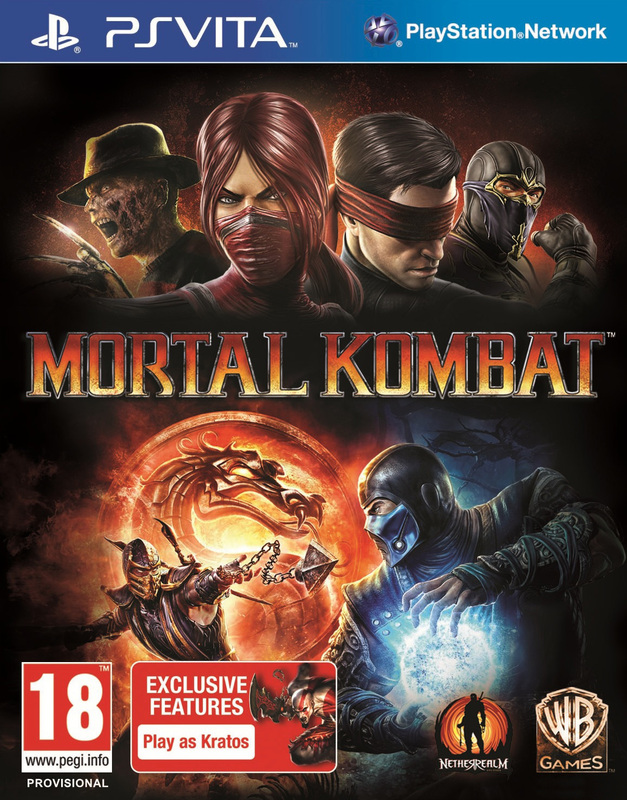 The 2011 release of Mortal Kombat was a triumphant return to the game’s original mature presentation offering over-the-top fatalities and cringe-worthy X-ray moves. Going back to a 2D fighting plane, this latest iteration in the franchise introduced a number of new gameplay features including Tag Team, Challenge Tower, and a deep story mode. Players can choose from an extensive lineup of the game’s iconic warriors and challenge their friends in traditional 1 vs. 1 matches, or take on several players in the innovative online King of the Hill mode.